RES specializes in the design of engaging exhibition environments. Our services ilnclude total exhibit design and bid package documents. We also handle small design/build projects in-house and partner with fabricators on large design/build projects. Explore our site to learn about other Products and Services in more detail. Join our Blog to learn tips of the trade and share out of the ordinary exhibit news. It won't take long to see that RES is not your ordinary exhibit firm. We have worked with Rick Riccio and his associates for many years in developing new exhibits, updating old ones, designing interpretive signage and videos, and other projects... He is very easy to work with and incorporates all our ideas into the exhibits in creative ways with a very satisfactory end product. I can highly recommend him to anyone who is planning exhibit work. 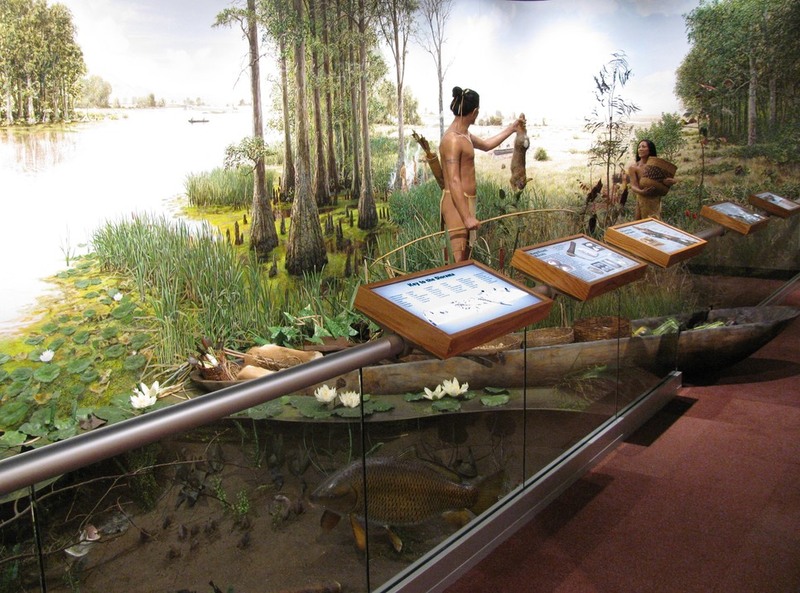 The “Wetlands and Waterways: The Key to Cahokia” exhibit won the 2015 AAA Midwest Traveler Treasures Award and the American Association for State and Local History Award of Merit for 2016.